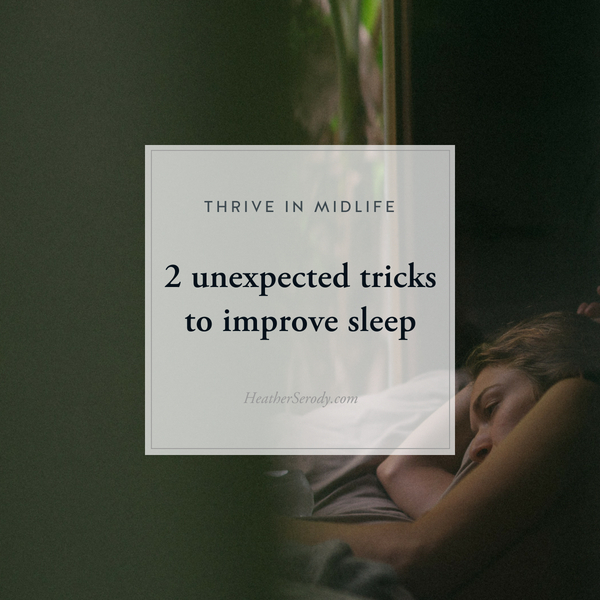 I want to share with you two things I've been doing that have completely changed my sleeping habits from awful to awesome-sauce. I've always stayed up late, and as consequence, I have never gotten adequate sleep. I figured it was just how I was wired. But I now think my vampire tendencies have been the result of my missing a critical aspect to healthy sleep patterns: morning sunlight. We know that humans (& animals) have specialized light-detecting molecules (rods & cones) in the retina at the back of our eyeball. These, of course, detect light but you may not know that they also set our internal clock ticking as soon as sunlight hits your eyes after you wake. Fourteen hours later the pineal gland (located between the eyes and deep in the middle of the brain) secretes melatonin, a hormone that makes you naturally sleepy, and sets you up for good deep sleep. I knew that I was just not getting any morning sunlight, and I haven't for years! So earlier this year I swore off morning TV and instead began sitting on my back porch with my coffee. There I take a morning sunbath for about 20 minutes with my face and arms exposed as I listen to my favorite podcast (The Daily, from the New York Times.) And just like that, I noticed that I began sleeping better. Did you know that we have non-photo receptors outside our eyes as well? These cells are able to detect the presence of sunlight on the body. They are found in the skin, spinal fluid, nerves, & organs and when they detect sunlight (through the actions of other photoreceptors), they signal other light-mediated behaviors that we aren't consciously aware of like mood, body temperature, reproductive changes, and seasonal growth & energy patterns. So, getting sunlight on your skin in the morning not only helps normalize your awake & sleep cycle but it also causes a whole cascade of other natural physiological reactions that keep our bodies healthy & connected to the rhythm of the natural world. It seems to me in our technology-driven modern world where we are so far removed from natural living, that the least we can do for our primal bodies is to get some sunlight in the morning. Just a few years ago I remember my sleep cycle was so messed up that most nights at 10 pm I felt wired and tired. Even if I tried to go to bed It was sooo hard to fall asleep. In the morning I felt like a truck hit me no matter how long I slept. Now that I get daily morning sunlight, my eyes get heavy right at 10 pm (as in I literally can't keep them open) and I'm asleep in about 5 minutes after getting into bed. It feels like a miracle has happened. Most mornings my eyes pop open about 7 am and I feel rested. Try to make some time to get your morning sunlight in – even just 10 minutes can make an incredible difference in your sleep. The other thing I've been doing which has made a big difference in my sleep is to take L-tryptophan 1 hour before bed. L-tryptophan is an essential amino acid (the body needs it) found in animal protein that naturally makes you feel relaxed and sleepy. L-tryptophan also has been shown to calm anxiety, burn body fat, reduce carbohydrate cravings, and elevate mood. A nice side effect of taking L-tryptophan is that it gives you vivid dreams! Experts* advise taking 1-2 grams (1,000-2,000 mg) of L-tryptophan 1 hour before bedtime if you are having trouble sleeping. How is the state of your sleep? There are so many more things you can do besides these two to help you improve your sleep. I just wanted to encourage you to hold out hope that you really CAN change even life-long negative sleep patterns around.